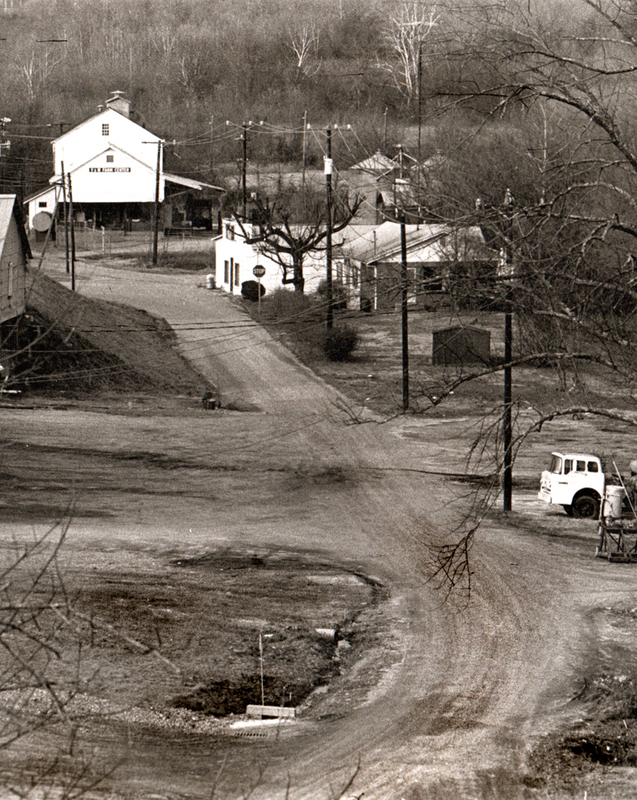 Northern New Jersey in the postwar years was a patchwork of suburban towns and rural farmland. 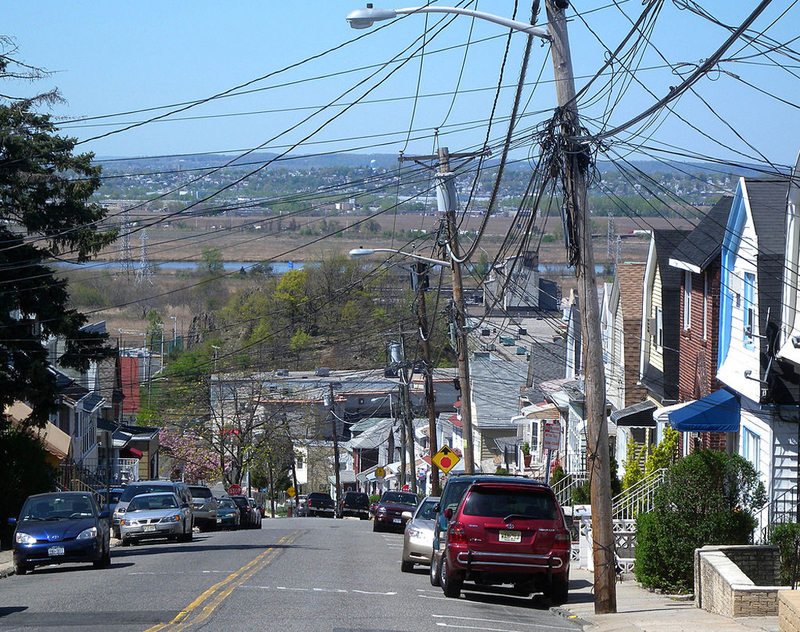 The part just west of the Hudson River is hilly, with a long irregular slope dropping down from the crest of the Palisades and into the valley of the Hackensack River. The larger towns — Teaneck, Bergenfield, Hackensack — were urbanized with a bloom of soot covering everything. My town, Old Tappan, was changing from one of small farms and Dutch-colonial homes to one in which whole neighborhoods of sameness were erupting in tract housing. The population was a mix of old families that had lived there for generations and the bright-cheeked newcomers looking for their own homes and green lawns and an upwardly mobile place to raise their children. Our house was a one-off — new, but not in a development. It sat on a gentle hill in what had been woods and included a brook. 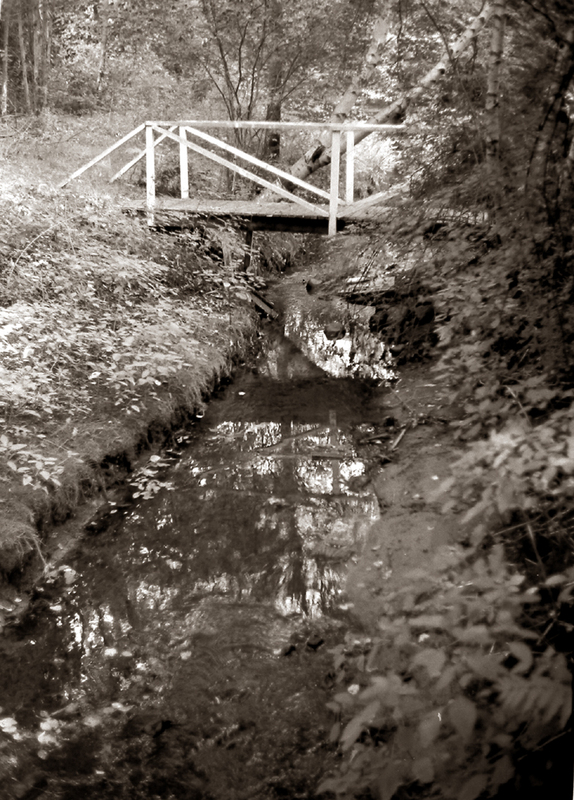 My father built a wooden bridge over the stream and enlarged a bend in it to become a small pool in which we could wade or recline in the water to cool off in the muggy summers. Because I grew up there, this patch of planet became for me my umwelt — my inner picture of what the world looks like — it was normative. The wider world I knew stretched from upstate New York along the Hudson and down to the Jersey Shore along the Shrewsbury River. 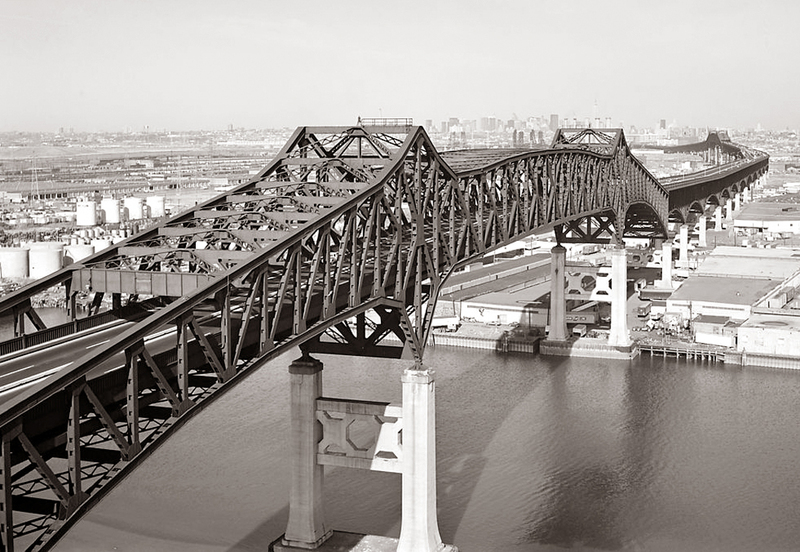 The landscape included such landmarks as the accordioned oil-storage tanks along Route 36 in Keyport, the Pulaski Skyway that crossed over the New Jersey Turnpike, and the three-lane Route 9W that skirted Storm King Mountain along the Hudson. 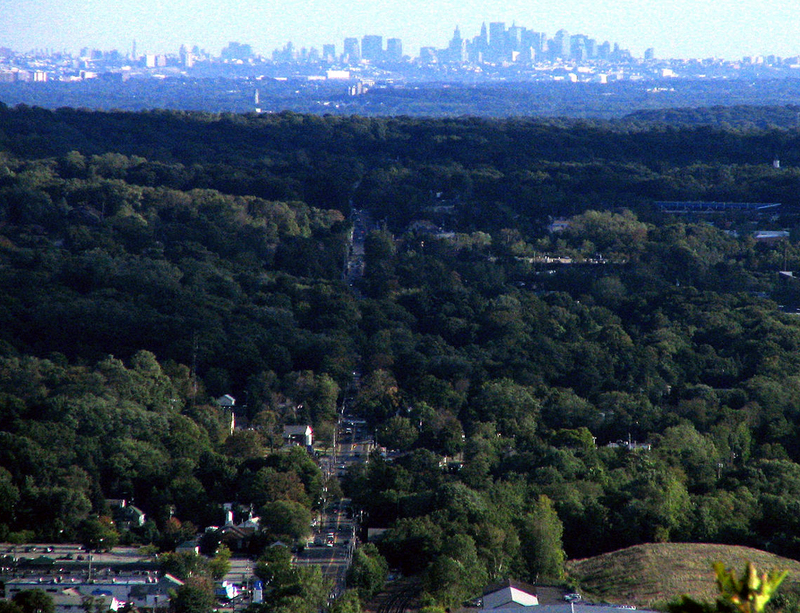 It included forests and streams, and it included heavy industry, a web of highways and the shopping malls of Paramus. The center and anchor of this landscape was Manhattan — the gravitational center on the other side of the George Washington Bridge. It was where, as a teenager, I wanted to spend all my time. Museums, bookstores, subways, Central Park, Chinatown restaurants and the great cheap ride on the Staten Island Ferry. 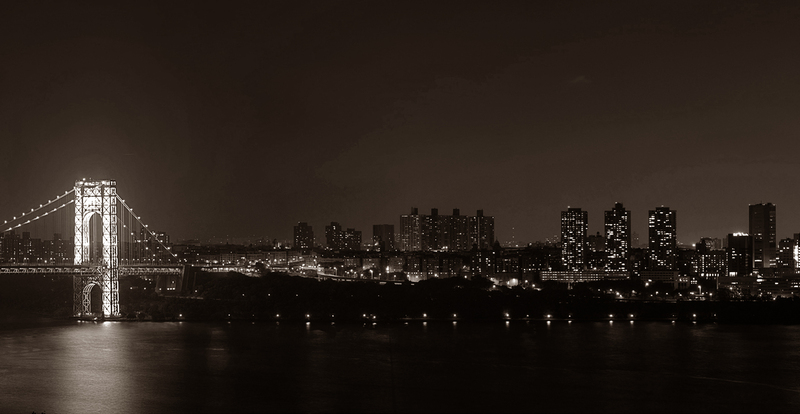 When the family went to the city for whatever reason, and we came home at night, driving up the brand-new Palisades Interstate Parkway, the lights of the city across the river were stars burning in the blackness, outlining the vertical thrust of the skyscrapers, while a thin line of burning beads moved continuously along the West Side Highway providing a baseline. When I was 7 years old, it was the most beautiful thing I knew. The landscape of our childhoods is embedded in our minds and memory the same as the language we learn without trying — it is absorbed whole. It shapes the mirror that reflects back everything we live through afterwards. “The mind, that ocean where each kind/ Does straight its own resemblance find,” wrote Andrew Marvell in The Garden. As an adult, I have lived in each of the four corners of the nation: the Southeast, the Southwest, the Northwest in addition to my green years in the Northeast. But no matter where I have gone, outside that comfortable nest of the Middle Atlantic, the landscape remains a novelty. I have enjoyed, even loved living elsewhere, but deep in the folds of my cortex, normal is New Jersey. That same process works for wherever you grow up. It is Mississippi for Faulkner, Brooklyn for Henry Miller, Concord for Thoreau, Ohio for Sherwood Anderson, Missouri for Twain, Lowell, Mass., for Kerouac. You can find Paterson, N.J. in William Carlos Williams and Asheville, N.C. in Thomas Wolfe. The axis mundi. Leonardo took northern Italy with him when he went to France. Durer took Germany with him to Italy as much as he brought the Renaissance back north. Beethoven never left Bonn even when he lived in Vienna, and the provincial towns of Czechoslovakia chime over and over through the symphonies of Mahler in the military marches and Schrammelmusik . That is the crux: the part we draw on, waters of life from the inner well. Childhood creates the fixed inner sense of the world, depending on where you grew up: the flatness of northern Indiana, the short-grass prairies of western Nebraska, the leaden skies and perpetual drizzle of Seattle in winter. But it isn’t merely the look of the landscape — as if it were a painting — but an entire sense of the physical world and our place and size in it. That includes a paradigm of distance — how far is the horizon, how long is a street before it curves away from your vision, how tall are the trees. These measurements are as set in the forming brain as are our names. So too are the seasons we live through. In New Jersey, there were four, with deep snow in winter and muggy heat in summer. The further north, the more winter and summer vary in length of daylight. In Arizona, there are two seasons: unbearable heat and relief from unbearable heat. In San Diego, there is barely more than one season. If you move from one place to another, you never quite get used to the missing or added seasons. That umwelt includes the quality of light we know as normal, the feel of air and its humidity against our skin, the way sound carries or doesn’t carry as it is muffled by woods or snow. It also includes the food, the ethnicities that surround us, the accent we speak in and the population density. All create a “normal” in our minds that we never lose, even as we expand our horizons as we grow. There are those who believe we try as adults to recapture our childhoods, but I say instead, we can never escape them. They are there engraved in our synapses. I have traveled widely in North America, through all the states save Hawaii, and all the Canadian provinces save Prince Edward Island. And all those states many times. The landscape — not landscape as art, but landscape as the planet your drive or walk through — gives character to each location, as if each location were not just a tract of land, but an entire culture. I am going to try to describe over the next series of blog entries a variety of distinct American landscapes and find in them meaning beyond the picturesque. I hope you’ll come with me.